On Thursday, the Mariners announced that Ichiro Suzuki would transition to the role of Special Assistant to the Chairman, effective immediately. While the agreement covers only the 2018 season, it appears quite likely that we’ve seen the last of the wiry, slap-hitting international superstar in a playing role, even given his stated desire to play “at least until I’m 50.” At 44 years old, he was hitting a meager .205/.255/.205, and with outfielders Ben Gamel and Guillermo Heredia now both on the roster, his continued presence created a crunch whose resolution couldn’t even wait until this weekend’s series with the Angels, which might have included a possible encounter with the pitching version of Shohei Ohtani. Lo and behold, Ichrio built off enough days to reach 3,000 while enjoying an unexpected renaissance with the Marlins in 2016. Even having not debuted stateside until he was 27 years old, he was the fourth-fastest player to 3,000 hits in terms of plate appearances, and sixth-fastest in terms of at-bats. As with the 4,000th combined hit and his long-awaited MLB pitching debut from October 4, 2015, the milestone 3,000th, a triple against the Rockies on August 7, 2016, brought a good bit of joy to the game. It also sealed the deal, once and for all, on his future enshrinement in the Hall of Fame. While his anachronistic slash-and-run style rarely produced the value to rival that of the era’s top sluggers, it was a vastly entertaining one nonetheless, and he staked his claim on a plaque via his initial decade-long run, during which he annually made the All-Star team, won a Gold Glove and cranked out at least 200 hits. He led the AL seven times in that category, setting a major league record with 262 hits in 2004 and claiming two batting titles as well as his AL Rookie of the Year/MVP combo in 2001. He will be eligible for the Hall of Fame in 2024 if he doesn’t return, although Seattle’s 2019 season-opening series in Japan offers a tempting possibility for a cameo. Ichiro’s awe-inspiring total of 4,367 hits (1,278 in Japan, 3,089 here) will stand as the signature accomplishment for a player who has spent more than a quarter-century serving as a wonderful ambassador for the sport on two continents. Here’s hoping he can continue that ambassadorship in a non-playing capacity for years to come. 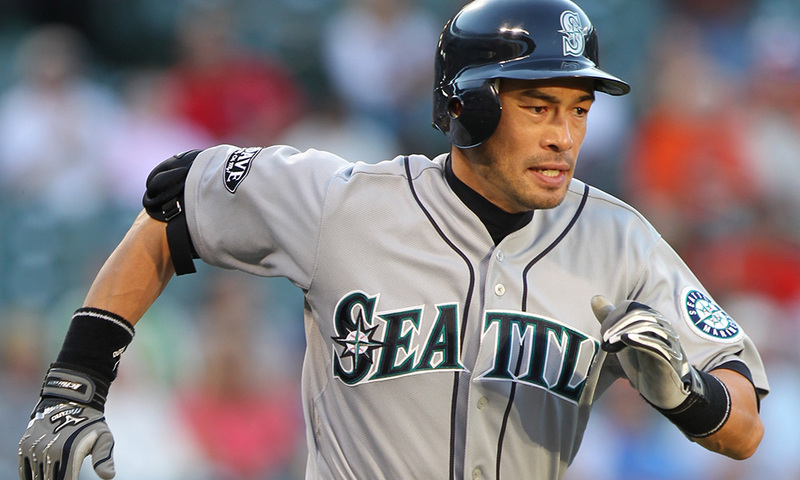 We hoped you liked reading Ichiro Bows Out by Jay Jaffe!